Nirvana Health Products® introduces to you an outstanding exceptional tasting, alcohol free, and highly concentrated Stevia Liquid. 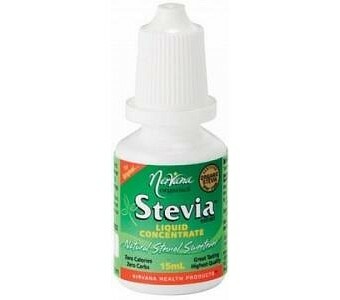 Nirvana Stevia® Liquid Concentrate is convenient to use and keep in your pocket or handbag. Nirvana Health Products® uses only the best and purest ingredients available and manufacture to the highest level. Most Stevia Liquid presently on the market contains inferior Stevia extracts, alcohol and undesirable preservatives and additives. Nirvana Stevia® Liquid Concentrate uses only organically grown Stevia extract, which has been extracted without using chemicals then carefully mixed with distilled water and the most natural preservatives available. High quality Stevia extract does not have the grassy or slightly bitter after-taste commonly reported with the use of some Stevia. This high quality product is very concentrated so only a few drops are needed to reach your desired level of sweetness without the worry and guilt.